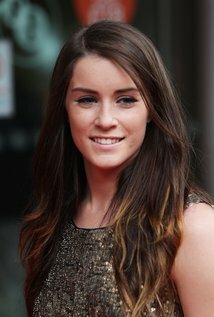 Lucie Jones is to join the cast of The Wedding Singer tour following her appearance at this weekend's Eurovision Song Contest. Lucie’s theatre credits include Cosette in the West End production of Les Misérables, also appearing in the 25th anniversary concert of Les Misérables at the O2 arena, London. She played Kelly in The Prodigals at the 2011 Edinburgh Fringe, was cast as Meat in the We Will Rock You World Arena Tour and originated the role of Victoria in the world premiere of American Psycho the musical, at London's Almeida Theatre. She also performed the lead role of Molly Jensen in Ghost The Musical’s Asia tour. She has most recently been playing Maureen Johnson in the 20th Anniversary touring production of Rent and will replace Roxanne Pallett (whol eft the tour early for medical reasons) as Holly for a limited six-week run starting in Aberdeen on 20th June. The Wedding Singer opened in Leicester in February and stars Jon Robyns, Ray Quinn, Cassie Compton and Ruth Madoc. It has a book by Tim Herlihy (the writer of the 1998 film starring Adam Sandler) and Chad Beguelin with music by Matthew Sklar.